Here we will explore the different ways in which the current controversy over wolf management has been communicated across social worlds since the beginning of it's creation. It is the goal of this page to walk the viewer though the creation of this heated controversy by presenting the various forms of media that have picked up on the issue. Within the debate two coarse sides emerge following the successful re-introduction of wolves to the greater Yellowstone area. Conservationists wish to keep (or reinstate) wolves on the endangered species list while those who are in favor of controlling thier population numbers via the institution of hunting wish to keep wolves delisted. Below you will find a general schematic of the different actors involved in this controversy. Following the subpages related to this page will allow the viewer to investigate the different sides to the issue from each actor from each side. The following network schematic depicts the interaction between various social worlds. The common thread between all is a concern regarding wolves in the greater Yellowstone area, the endangered species act, and the institution of hunting as a means of population control. Some actors of interest include sporting goods companies such as Cabela's who advertise as being an outfitter for wolf hunting. 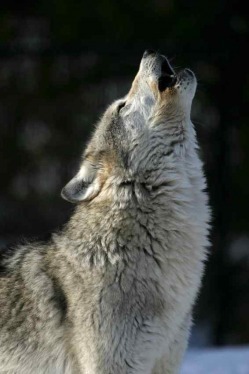 The National Rifle Association, in addition to their general support of hunters, is getting involved to aid those who are being harassed by opponents of wolf hunting. Ashley Judd is coming out as an opponent of the delisting of wolves making direct pleads to the Obama Administration which is coming under criticism for allowing the delisting. The National Geographic Society recently report on the controversy in it's March 2010 issue. Concerns from biologists of the Lolo area of Idaho regarding a decline in population and recruitment of elk herds are being raised and linked to wolf predation. All of these actors, and more, interact and react to one another to shape the current state of the controversy at hand. Please interact with the following "map" to see where actors interact. Each actor group (conservationists and population control) is explored further in the tabs above.